While summer may be pretty much over, that does not mean the party has to cool down. One group of event creators is making sure of that. 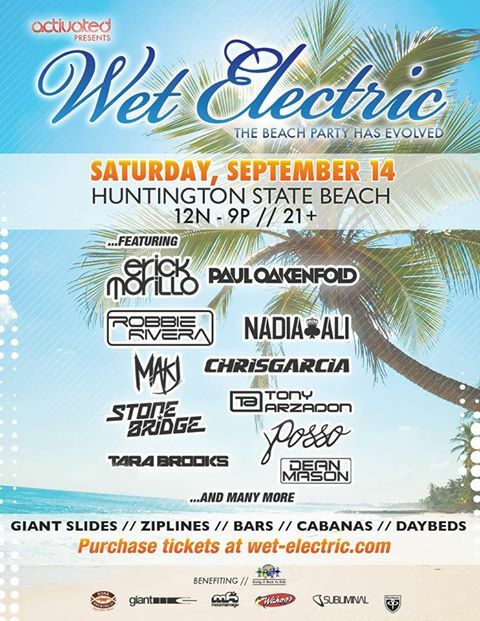 Wet Electric is a huge EDM concert, based in a water park. I mean come on, what gets better than raging all day under the hot sun, staring at hot bodies in tiny bathing suits, getting wet from wave pools, water slides, and zip lines, and listening to some of the top DJs for 10 hours straight? 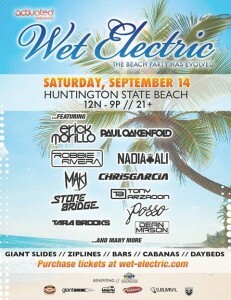 This weekend, on Saturday the 14th, Wet Electric takes over Huntington Beach in California, and it is sure to be an unreal experience. Not only do party goers get to hang out on a beautiful California beach all day, but this event is sure to cap off anyone’s summer with a bigger bang than the one Anthony Weiner is in search of. This massive beach party, set on two huge stages, has the feel of an amazing Spring Break, while set in September. Around 10,000 people are expected to attend to hear the beats of famous DJs such as Erick Morillo, Paul Oakenfold, and Robbie Rivera, plus at least 10 more! 21+ party-goers can enjoy zip lines on the beach, getting soaked on water slides, and getting hammered drunk off the bars providing you with refreshing relief. Get out of the sun if you choose, with the option of cabanas, and this is truly an Indian summer paradise. The past few events have been more than enough fun, but this one will most likely blow the top off that tan goddess with the funbags just begging to come out already. That’s right, that much fun. If you are sitting there all depressed that you are missing such a crazy fun event, you should be. But seriously, if you want to experience Wet Electric to the fullest, they are coming to Phoenix on October 5th for their second event of the year. This one is set at Big Surf Waterpark in Tempe, Arizona and if it is anything like the first one, buy your tickets now. 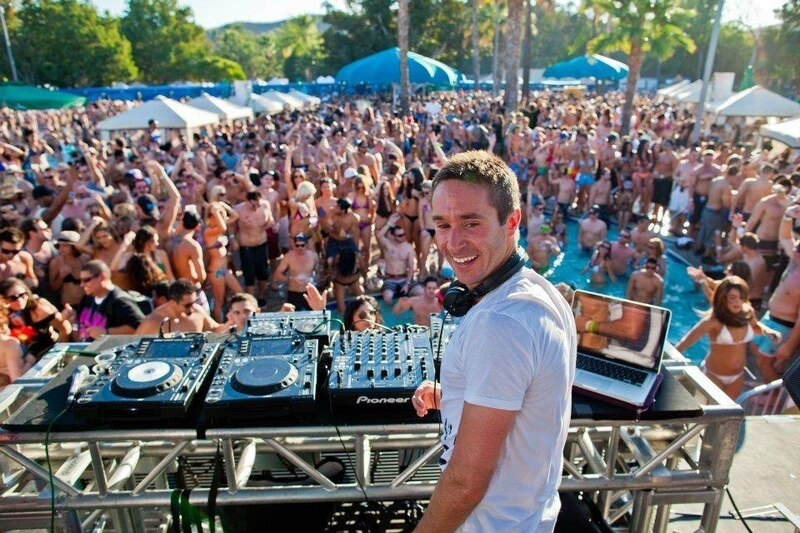 With ASU right around the corner, you are crazy not join in on the fun that one of the hottest, most notorious party schools in the country indulges in. Did we mention it should still be at least 90 degrees at that time in October? That’s right, get blasted, on and off the water slides.